Posted on July 27, 2014 by Peter Schilling Jr.
Our Jackie Chan Adventures series closes with the eponymous action star’s first American vehicle, Rumble in the Bronx. Review by Trylon volunteer Thorn Chen. 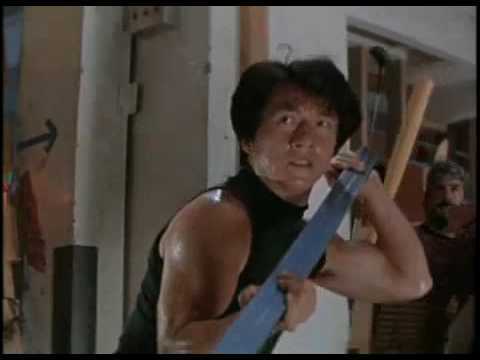 Almost immediately as he gets to the Bronx, Ma Hon Keung (Jackie Chan) gets on the bad side of neighborhood motorcycle thugs and its head Tony (Marc Akerstream), who leads his followers in a go-cart. Jackie beats up some gang members for roughing up a grocery store, and things go south from there. The fact that he runs off with the gang leader’s girlfriend Nancy (Françoise Yip) does not help matters. The neighborhood bickering—and near lethal fights between Jackie and the gang—gets overshadowed when Angelo, whose nose Jackie broke in the first fight, gets everyone accidentally mixed up in a multimillion dollar diamond heist and a criminal syndicate whose thugs wear suits, ride around in Lincoln town cars, and impersonate FBI agents. Jackie’s new girlfriend and her wheelchair-bound little brother are taken hostage, and Jackie finds himself in an epic hovercraft chase in order to get the bad guys and rescue the hostages. That’s about all there is in terms of plot. 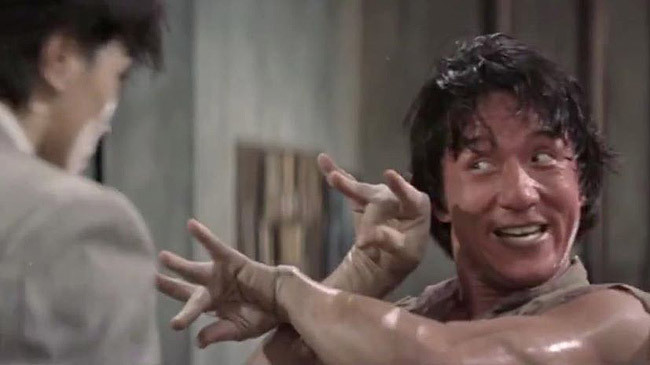 As with most films starring Jackie Chan, Rumble in the Bronx is thin on narrative, for which it compensates with well-choreographed (and ridiculous) fight sequences, complete with the requisite props. Jackie is, in fact, helpless without his props. Cornered in a dead end of an alleyway by the biker gang, he is almost killed as the gangsters bat empty liquor bottles his way (literally, with a baseball bat). When he goes after the gang in a used appliance store, he is golden: refrigerators, TVs, ladders, and hanging lamps all become his allies and accessories. Not to mention, the props make the brawls interesting. And there are a lot of brawls, in the typical Bronx locales—a supermarket, a parking garage, graffiti-filled alleyways, a boathouse, a beach. Thorn Chen is from New York, now in Minneapolis pursuing a PhD at the U, where he studies Chinese cinema, reads continental philosophy, and scrounges for funds to support his coffee addiction. Rumble in the Bronx screens Monday and Tuesday at 7:00 & 9:00. Purchase tickets here. Posted on July 24, 2014 by Peter Schilling Jr. The Trylon’s celebrated 5th Anniversary Silent Film Festival has been a rousing success, and it closes this weekend with the man who started it all: Buster Keaton. Five years ago we presented a month of sold-out Keaton shows to inaugurate the Trylon, and we’ve been going strong ever since. 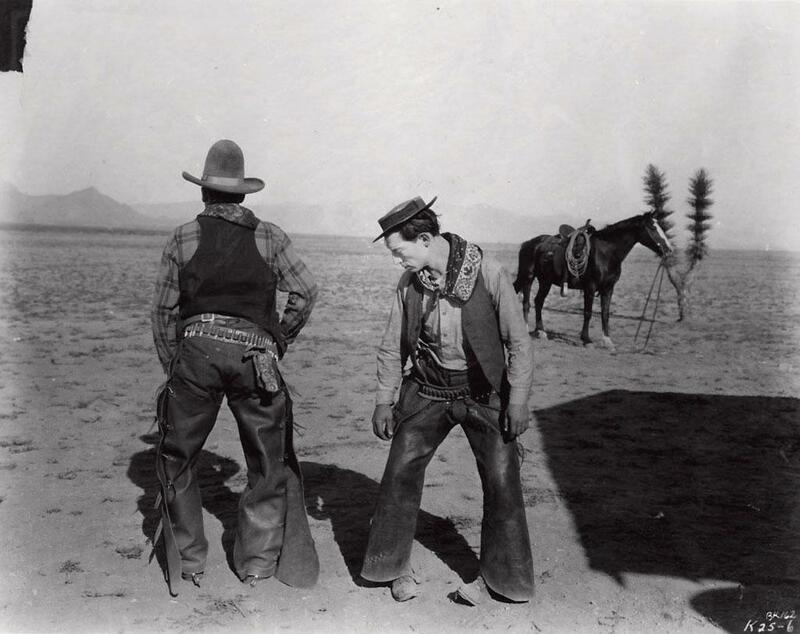 Come enjoy Go West, Keaton’s western masterpiece, with live accompaniment by Rats and People MN. This a hilarious send up of a genre that, by 1925, was already in need of a good ribbing! Review by Trylon regular Ben Schmidt. Unexpectedly, our hero ends up on a cattle ranch, a fish out of water. He’s poor. Hungry. Trying to fit in. While out trying to help the other workers, a cow limps past him. He approaches it cautiously, still not used to this place, or its people, or these animals. Mustering a bit of courage, he pats her head. At rest, or in his company, she seems content. So he grabs her bum leg and sees a rock has lodged in her hoof. He removes it, making it a point to show her the cause of her pain before dropping it to the ground. All better now. A second passes. Keaton glances down at their feet, at this rock that now rests on the ground. No. That won’t do. As cow looks on, he snatches up the rock up and digs a small hole. Then quickly buries it as best as he’s able, ensuring no harm will come to her ever again. It’s disarmingly thoughtful, and so damned sweet, and just one of the many reasons I was so taken with this film. I’d never witnessed Keaton’s wonderful attention to detail and timing, but I now understand why this film from 1924 remains fresh and funny. For neophytes like myself, it’s testament to Keaton’s talent as actor and director, and to his alarmingly wonderful attention to detail and timing. 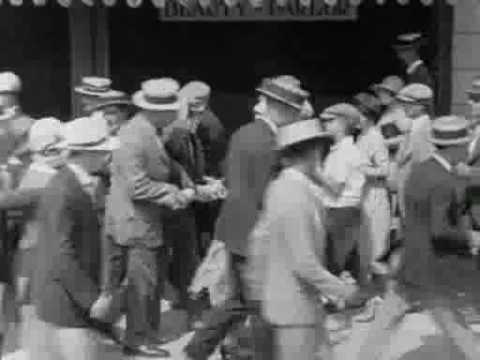 No wonder this film from 1924 remains so funny and engaging. Ben Schmidt is a writer: strong of beard, smooth of voice. Go West screens Friday and Saturday at 7:00 and 9:30; Sunday at 5:00 and 7:30. Purchase tickets here. Posted on July 20, 2014 by Peter Schilling Jr.
Our wonderful Jackie Chan Adventures series continues with what some consider his greatest movie, The Legend of Drunken Master! 1. It’s the best kung fu movie ever made. 3. It’s Jackie Chan’s Citizen Kane (Yuen Woo-ping being Chan’s Herman J. Mankiewicz). 5. It’s showing at the Trylon! What more do you need to know? An amazing film. Not to be missed. The Legend of Drunken Master screens Monday and Tuesday at the Trylon at 7:00 & 9:00. Purchase tickets here. Posted on July 6, 2014 by Peter Schilling Jr. The Trylon’s Jackie Chan Adventures continues with the crazy historical epic Project A. Project A is a weird bird. But any bird that allows Jackie Chan, Samo Hung, and Yuen Biao to sing together is worth watching, this film being no exception. They three are a type of Voltron–each strong of their own accord, but most phenomenal together. Do approach this screening with a patient mind, as Project A takes a while to sort itself out. 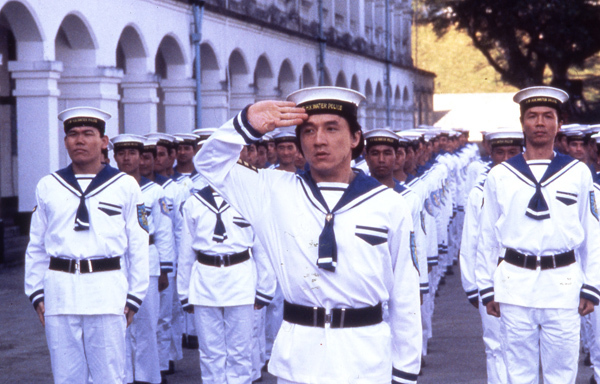 In the beginning, Chan’s humorless stint in sailor suit comes across as distant and odd. It feels like work. Things happen. People argue. Boats explode, though not very well. 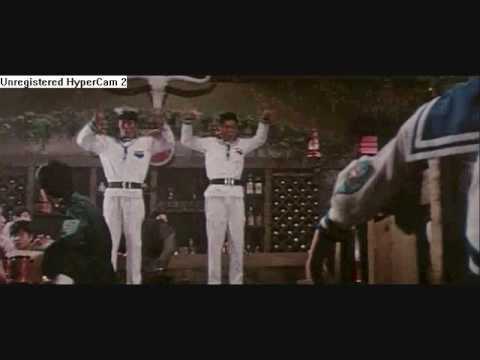 Even the first fight scene, a bar brawl, feels uninspired. But hang in there, dear friend. Once you reach the hand-grenade tomfoolery, know that Project A does relax and begin to have fun–as will you. And as the movie finds its footing, you’ll begin to appreciate its unsung stars. 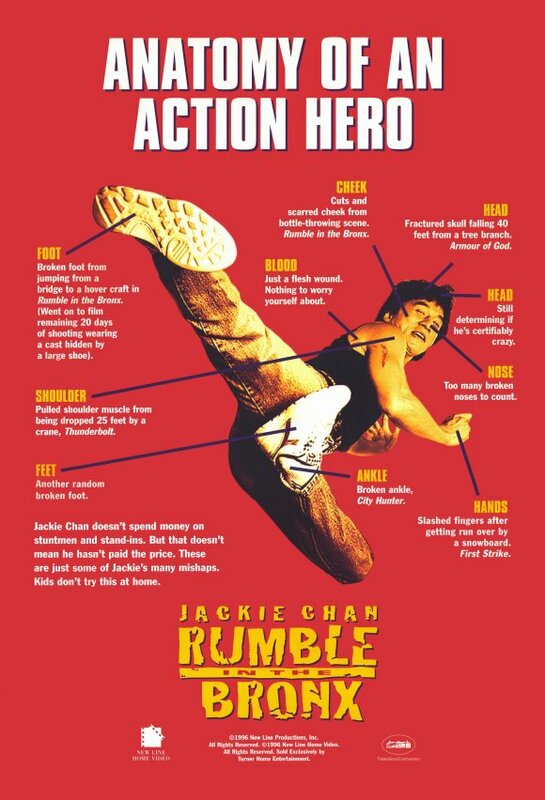 Yes, as always, Jackie Chan orchestrates ridiculous stunts, one that allegedly almost killed him. (When you see the landing, you’ll know which.) But, dear sweet Lord, do you feel the thankless work of his stunt team as they are kicked, chucked and hurtled about from one scene to the next? Though it’s often cringe-worthy, the choreography is a refreshingly earnest display of talent and discipline. Thankfully, the brute physicality on display is balanced with Chan’s now trademark humor and playfulness. It’s far from a one-note production. Ultimately, these people are busting their bottoms to entertain you, and their effort shines, with no fancy editing or special effects to hide behind. That being said, I shall say it again, Project A is a weird bird. This is a film that harbors both a light-hearted and surprising bicycle chase, and quite suddenly knives go plunging into the chest and legs of unfortunate pirates (which is followed by the funniest line in the movie). But this weird is good weird. Most films struggle to have any personality at all, let alone one as funky and unrefined as Project A’s. Well worth enjoying in the cool, comforting darkness of the Trylon. SUPER PROJECT A BONUS CHALLENGE: When the time comes, try figuring out who supplies the English voice of pirate leader Lo Sam Pau. Don’t ruin it for yourself beforehand (put down the Google.) The casting decision was another odd, wonderful part of Project A. I loved it. And later, I was genuinely delighted to discover who it was. 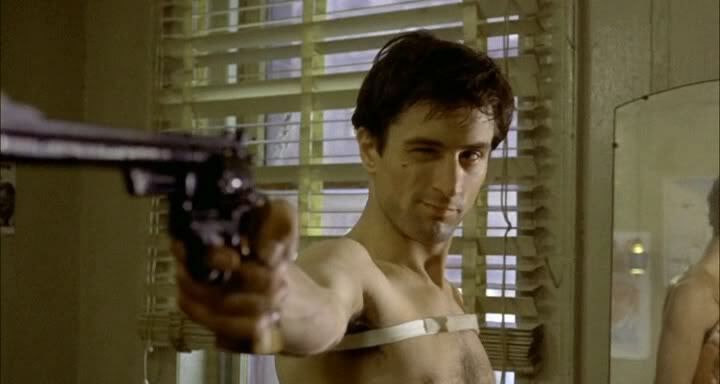 Like the film itself, a mad little bit of genius. Project A screens at the Trylon Monday and Tuesday at 7:00 & 9:00. Purchase tickets here.